On May 10th The Guardian columnist Glenn Greenwald was invited to be a guest panelist on Bill Maher’s HBO show Real Time. Those who are familiar with Maher’s rants against religion, and specifically against Islam, wouldn’t be surprised that as usual, he tried to give his same old tired “Islam is the problem” two-bit. But Greenwald as he indicated the next day was actually hoping for such an opportunity to set the record straight for Maher with some facts, which to the misfortune of Maher is exactly what happened as he was utterly shredded when he cried “it’s not our fault”. Maher, who’s a cultural supremacist to put it lightly, offers nothing but facile pseudointellectual analyses when it comes to U.S. policy in the Middle East. Moreover, in the same fashion as Sam Harris and the rest of New Atheists masquerading their Islamophobia as rational criticism of Islam, who in reality are just following in the footsteps as scientific racists of the past, Maher seems to have complete disregard for the simple fact that actions generate reactions. Although they might be undesirable, or in the case of Islam completely unjustifiable from a religious perspective, it would seem unreasonable to expect Muslims to have absolutely no response to U.S. foreign policy towards them. If we give Maher the benefit of the doubt, we’d say that he gets his information of current events and U.S. foreign policy solely from FOX News. Otherwise, we’d have to assume that he’s completely aware of how he comes to some of his abhorrent views. It makes one wonder whether Maher is actually aware of the historical consequences of U.S. intervention in the Middle East and how it ALWAYS ended up being a disaster for American interests. Or is he really as simpleton minded as U.S. policy makers who required an entire Senate Judiciary Committee, a line up of law professors and military personnel, numerous witnesses, and a full Tuesday afternoon to point out the obvious consequence of U.S. drone strikes the undermine the sovereignty of nations and kill innocent people. It’s easy to make all kinds of claims about religion being the source of all evil and how Islam is specifically more so, all in an effort to exonerate oneself from all responsibility for the reactions generated in response to U.S. foreign policy. 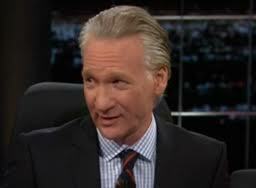 Maher might like to pretend that imperialism should be cost-free, but former CIA Barry Eisler would disagree. Maher might also like to sit back on his comfy leather chair and arrogantly issue judgments using his ethnocentric-based superficial analyses of what’s going in the world. But the world isn’t so simple as to just reduce everything to religion, or fundamentalism as David Atkins alleges. The assumption that religion is an active agent to the exclusion of politics and social factors, while at the same time assuming that human beings are some automatons who don’t willingly make choices to act in good or evil ways leads to foolish analyses such as the ones offered by the likes of Maher. “The cumulative anger, frustration, and radicalism that this history of intervention has produced are abundantly evident. The question perhaps is not how 9/11 could have happened, but instead, why didn’t it happen sooner? As radical Middle East groups articulate their grievances in our globalized age, why should we be surprised that they ultimately carry their struggle to the heart of the West? It takes little brilliance, then, to have anticipated some kind of pushback resistance, a sharp or even violent response to long-term Western actions. It is particularly disingenuous for the West at this point to turn around and speculate on what is wrong with the Muslim world, or with Islam, that the West should be witnessing a violent response from the Muslim world. It borders on obtuseness or willful ignorance not to acknowledge any impact or role of its own policies over the last two centuries or more in stimulating the range of current responses from the Muslims world. Nor should the use of violence be surprising. When situations deteriorate, is it moderates, or radicals, who tend to respond first? In this sense Usama bin Ladin is the canary in the cage of the Middle East mineshaft – his early violent actions suggest that conditions are going badly awry in the Middle East. If real radicals are taking up cudgels for the first time, how far behind are the more moderate forces, who share the same environment and misgivings? We already know that there is much tacit public sympathy, if not support, for bin Ladin in the Middle East, even while his methods are not fully condoned. It’s ironic how Bill Maher calls his show Real Time, when there’s really nothing real about his facts, his analyses, or his worldview. For a person who calls religion a delusion, it’s surprising how deluded about the world and humanity he actually is. It’s nice to see people like Greenwald give him a dose of reality.